As everyone is aware, the Pan Handle of Florida was devastated by Hurricane Michael. 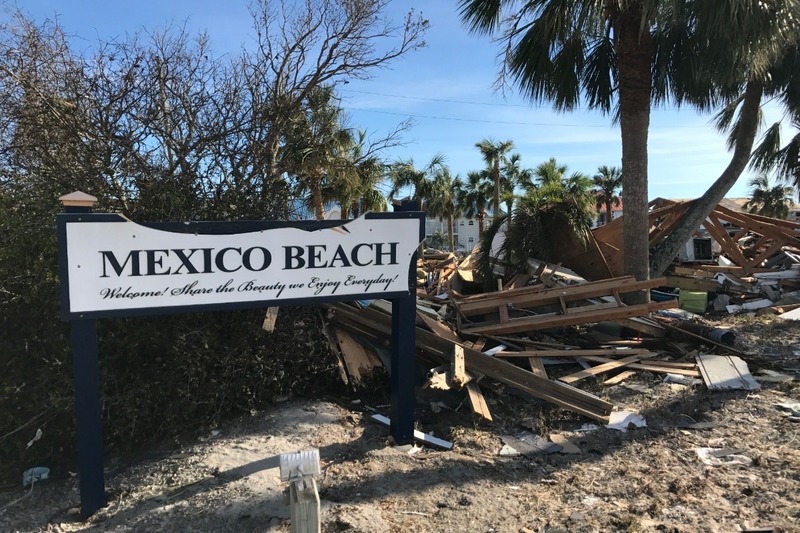 Mexico Beach in particular has been decimated and thousands have lost everything. I have been a part of the Mexico Beach community for almost 20 years. It was a little slice of heaven and the people of this community were a large part of what truly made it special. This level of devastation is something that most people have never witnessed and I pray that we will never have to witness it again. It will take many years for this community to rebuild. In the meantime, people are in desperate need. There are individuals that are donating their time to cook and feed over 1500 people a day. There are no gas stations or convenience stores left. There are no restaurants to feed people. There are no grocery stores to purchase food. There is no electricity to cook or to simply have a light on at night. There is no water to shower or to use the restroom. There are thousands of permanent residents who had a business or worked for local businesses in the area that no longer have any income. This will be their existence for years. The bottom line is that they will need money to fund supplies in order to survive. We will be collecting canned food donations, as well as non-perishable food items that can be heated up in a pot. Also there is a need for flash lights/head lamps and batteries, basic toiletries, etc. We will be collecting these donations at several locations around metro Atlanta throughout the next couple of weeks. I will post the addresses for the drop-off locations on my Facebook Page. Personally, I never thought I would be putting one of these things (GoFundMe) together so here it goes. ONE HUNDRED PERCENT (100%) of the funds collected through this effort will go DIRECTLY into the hands of displaced residents of Mexico Beach. There will be NO admin fees or any other bogus fees taken out of this fund. I will personally see to it, that every single penny goes to the residents of Mexico Beach who need it the most. The initial goal is $50,000 in hopes that it will be met and exceeded! Please share this on your Social Media pages and email – we are trying to reach as many people in a very short time. Please ask your friends and family to share it with their friends and so on. It’s the only way to reach the goal and for us to make a real impact.